We are excited to announce that our SunnyMoney Malawi initiative has won the Energy Globe National Award! The Award recognises SunnyMoney Malawi’s creative distribution model and innovation through offering the world’s most affordable solar light, the SM100, and through pioneering pay-as-you-go (PAYG) ownership schemes for affordable solar lights; breaking down the affordability barrier for families in rural Malawi. 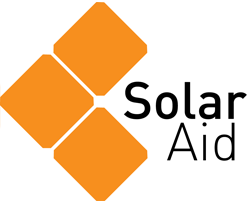 Putting together the award submission was a true team effort; drawing upon commendable aspects that apply to the work of SolarAid, and the amazing SunnyMoney teams in Malawi, Uganda and Zambia. The Energy Globe Award is one of today’s most prestigious environmental awards and presents successful sustainable projects to a broad audience to emphasise that many of our environmental problems already have good, feasible solutions. This year there were over 2000 submissions from over 170 countries, and a team of high-profile experts from the Energy Globe evaluation committee selected us as the national winners for Malawi. 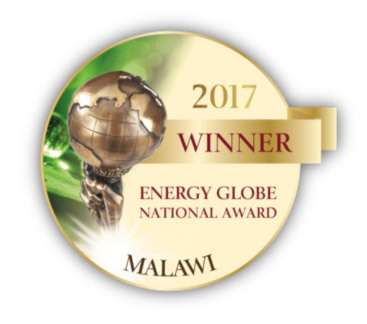 Winning the Energy Globe National Award for Malawi means that our submission is automatically evaluated for the international Energy Globe Award. This award, which is described as “the Oscar of the environment” would be announced on 10th November in an internationally televised ceremony, the last of which was held during the UN Climate Change Conference in Marrakesh. Kofi Annan, former UN Secretary General and presenter of the Award. Our project “Creative Distribution and Innovation lights up East Africa’s poor”, along with the other Energy Globe National Winners, were presented on the Energy Globe website on 5th June; World Environment Day. 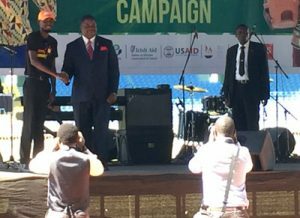 This was perfect timing as the SunnyMoney Malawi team attended a World Environment Day celebration led by the Department of Environmental Affairs at the national stadium, now as proud winners of an Energy Globe National Award! The Award was announced during this event and Sam, a SunnyMoney Regional Sales Manager, joined the Malawi Minister of Energy on stage. This award is a great honour for SunnyMoney and it is acknowledgement of the tireless efforts of the entire team in providing safe and affordable solar light across all of Malawi, including to the most remote rural communities. But also because this is recognition that SunnyMoney has developed an ecosystem of agents and partners selling innovative solar products that has created a vibrant and sustainable solar market for entry level lights. 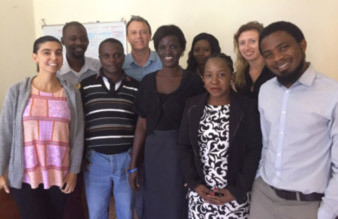 The SunnyMoney team in Malawi. As well as celebrating our SunnyMoney teams’ incredible efforts in Africa, we also have to thank you, our donors and supporters, for making these achievements a reality. Without your donations we would not be able to continue spending that little bit extra to provide access to affordable solar lights in the hardest to reach rural areas where they are needed most.